The word “justice” gets thrown around a lot on “A Golden Crown,” and it led me to think a little about the Iron Throne itself. 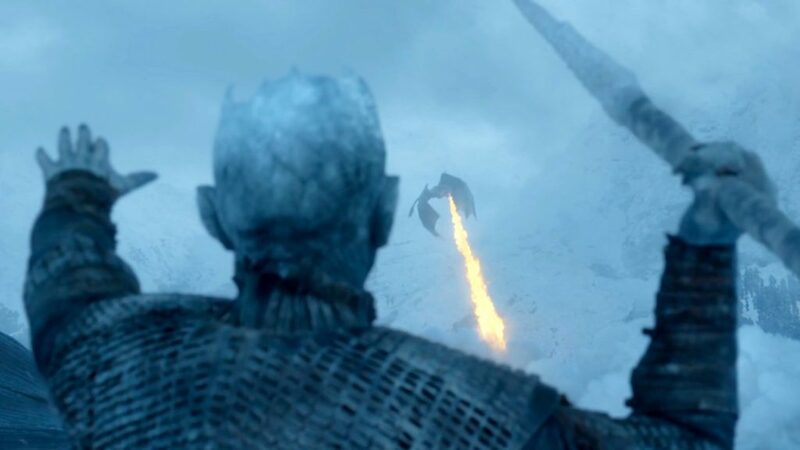 The most iconic image in Game of Thrones—and its symbolic MacGuffin—the throne is forged from the weapons of warfare that have been transformed into a (literal and figurative) seat of governance. It is the place where the King’s Justice is dispensed, the place where words settle conflicts that would previously have been decided only through war. Like Arthur’s round table, it represents progress towards order from the chaos of feudal anarchy, the first tentative steps towards what we would think of as a just civilization. Like all symbols, however, the throne only has power because everyone agrees that it does. 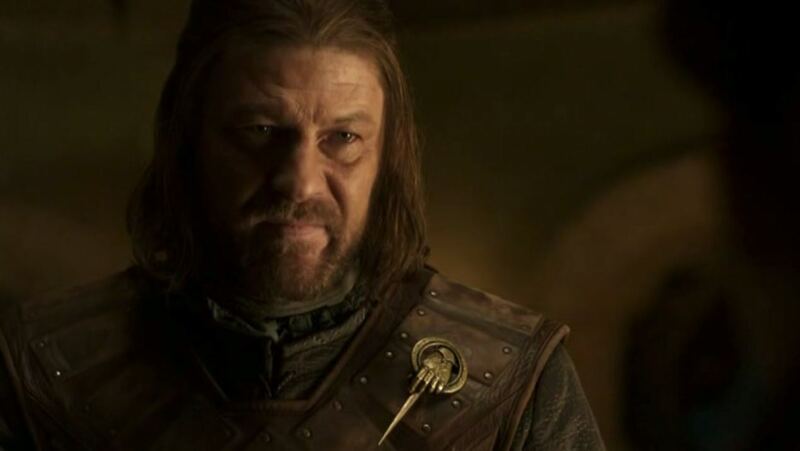 The government of the Seven Kingdoms of Westeros is not a democracy—no one elected King Robert (Mark Addy)—but it exists by consensus; everyone understands how tentative the peace is, how easily any one faction could drive the land back into chaos and tyranny. (This is especially true because many of the leaders—and perhaps none more than the King—openly long for the good old days of open warfare.) The discord is in the name: it is not one kingdom, but seven, bound by fragile alliances and grudging allegiances. The Iron Throne, like the Seven Kingdoms, was forged from war, and—since it looks to be a goddamned uncomfortable piece of furniture—symbolizes how uneasily justice rules over this brutal land. “A Golden Crown” is all about justice; it’s filled with characters—from Ned to Sansa to Tyrion to Viserys—all protesting, It’s not fair! But justice, as we see this week, is very much a work-in-progress in Game of Thrones. It’s a philosophy reiterated, in slightly different terms, by Ayra’s fencing instructor Syrio Forel (Miltos Yeromelou). The (unfailingly awesome) Arya (Maisie Williams) doesn’t want to train today, because she’s sad about Jory and worried about her father. Syrio, however, tells her that such concerns have no place in combat, and neither does prayer. 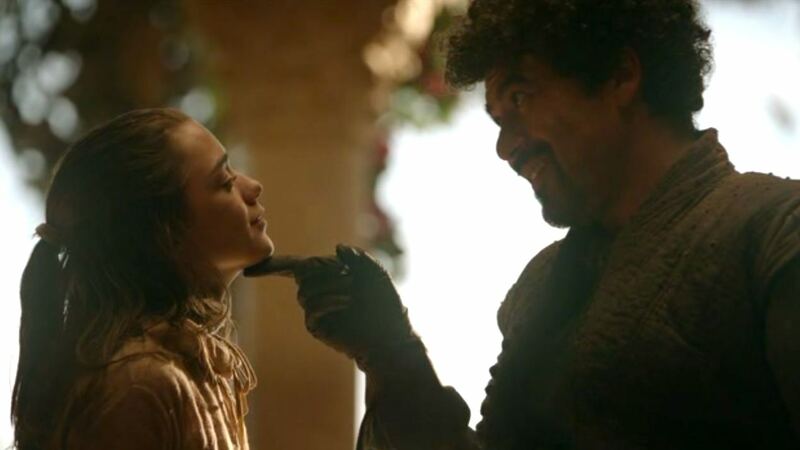 A practical girl herself, Arya says she prays to both the new gods and the old, but Syrio assures her there is just one god: “And his name is Death. And there is only one thing we say to Death: Not today.” Sometimes there is no honor, no morality, no justice: there is just the choice to survive. It’s a lesson she takes to heart, accepting much more easily than her sister that Ned is sending them back to Winterfell for their own safety. “It’s not fair,” whines Sansa, who has done everything expected of her. But Arya—whose gender precludes her from living the life she wants—has long ago learned that life isn’t fair, and is adapting to that lesson every day. And the thing is, he’s right. They made a bargain. It isn’t fair. But fair is not how the world works, and his sense of injustice pushes him too far: he drunkenly threatens Dany with a sword, and demands the crown he was promised. (Hint: threatening the queen of a warrior tribe, who is not only beloved but also carrying a child of prophecy, is probably not a good idea: Robert should take note.) 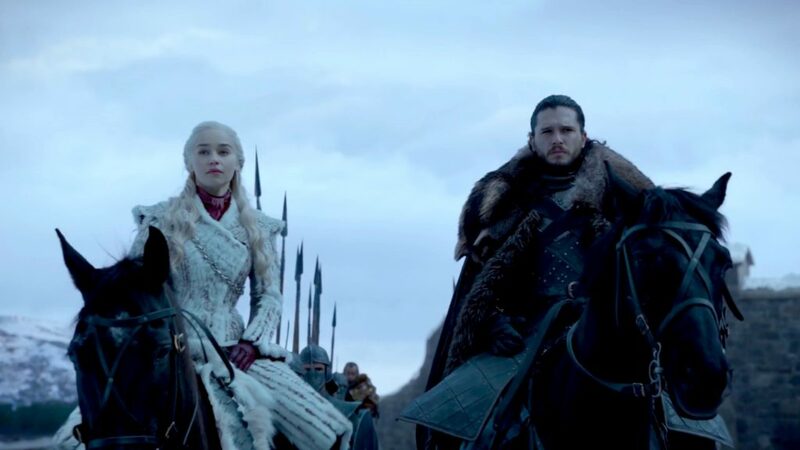 Dany looks at him with great pity, which slowly changes into steely resolve: she is no longer the sister he pawned, the little girl he abused; she is Khaleesi of the Dothraki, and she warned him two episodes ago that the next time he raised a hand to her would be the last. Drogo speaks, and Dany translates in perfect agreement: “He says yes. 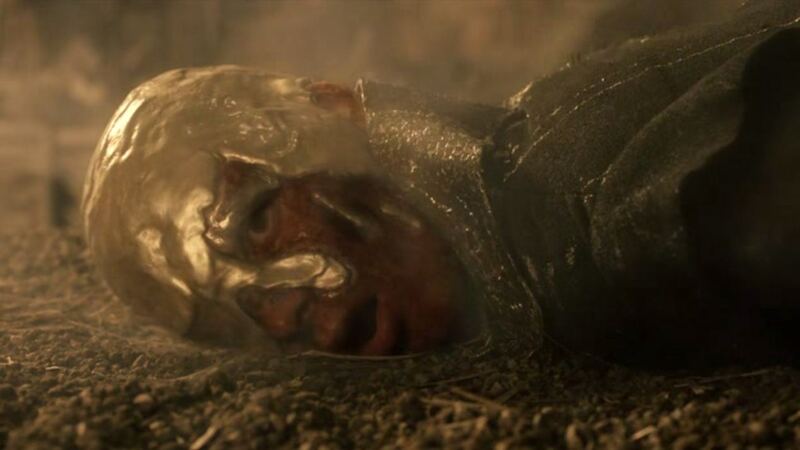 You shall have a golden crown that men will tremble to behold.” It’s to Lloyd’s credit that he evokes pity with a moment of heartbreaking humanity: Viserys smiles meekly, pleased with himself, and says, “Well, that was all I wanted. What was promised.” And then Drogo’s men seize him, and Drogo melts a cauldron of molten gold and gives the Dragon his golden crown. Because, sometimes, life really isn’t fair. Can I assume Theon Greyjoy (Alfie Allen) becomes important later on? So far he seems to exist just to remind us he exists (and, of course, to facilitate the gratuitous flashing of various genitalia). Daenerys is the Dragon, not her brother. “Fire cannot kill a Dragon,” she says, having already proven that she herself is impervious to flame. (This was nicely seeded in episode 1, when she climbed into a bath her servants said was too hot: at the time it read just like despairing acceptance of her fate, but it turns out to be dragon blood.) And why do I have a feeling those dragon eggs aren’t as dormant as everyone believes? 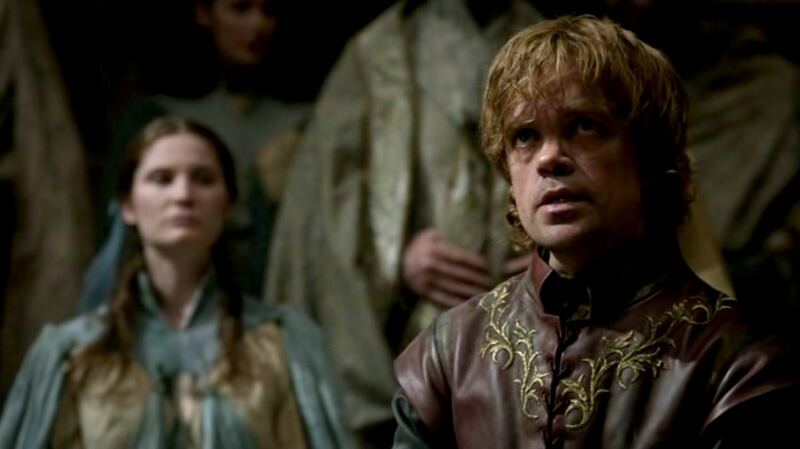 Sansa’s observation that Joffrey is nothing like his father finally gives Ned his epiphany about Robert’s children. 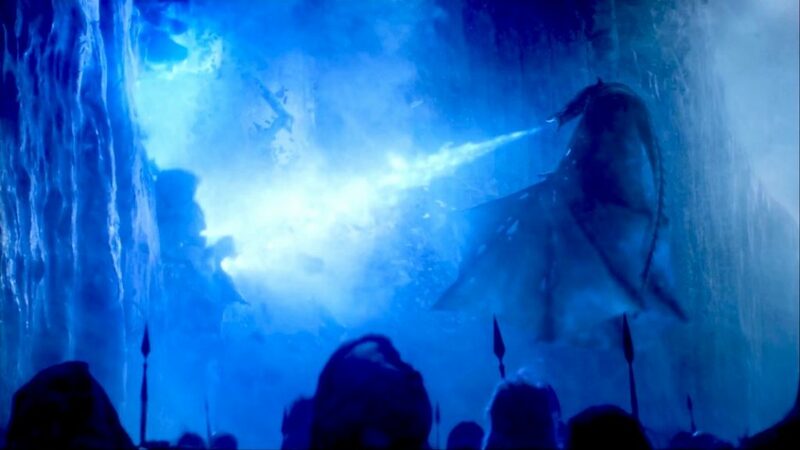 For the love of god, can we finally get the most obvious secret in the Seven Kingdoms out in the open?